Range 30 - Hudson Livestock Supplements Inc.Hudson Livestock Supplements Inc. Range 30 is a 30% protein product with 12% of the protein coming from non-protein nitrogen (urea). 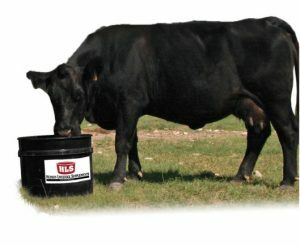 It is designed to be fed as a supplement to cattle on medium to poor quality forage. This product combines rumen degradable protein, rumen bypass protein, and non-protein nitrogen in an energy rich, mineral dense, weather resistant supplement.